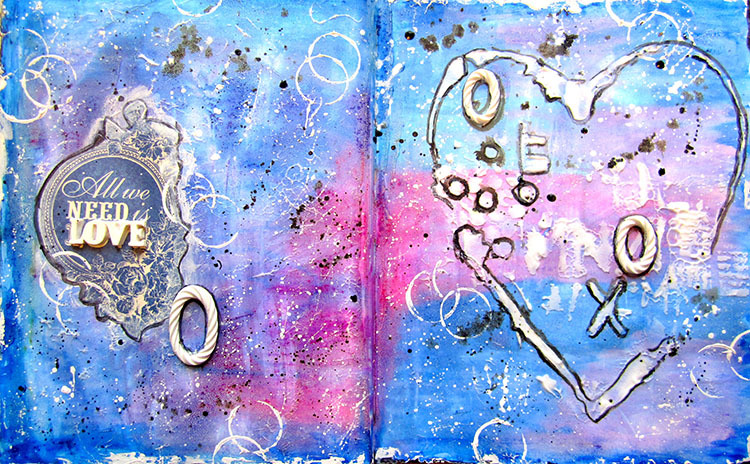 Its Keren here with another art journaling double page I created for the Scrapberry’s blog. This is my last post for this year and also the last post for Scrapberry’s as a Design Team member. I want to thank Scrapberry’s for the opportunity to design with their amazing products. I love designing with blues and purples. They are my favourite colours to design with because they make me feel good. 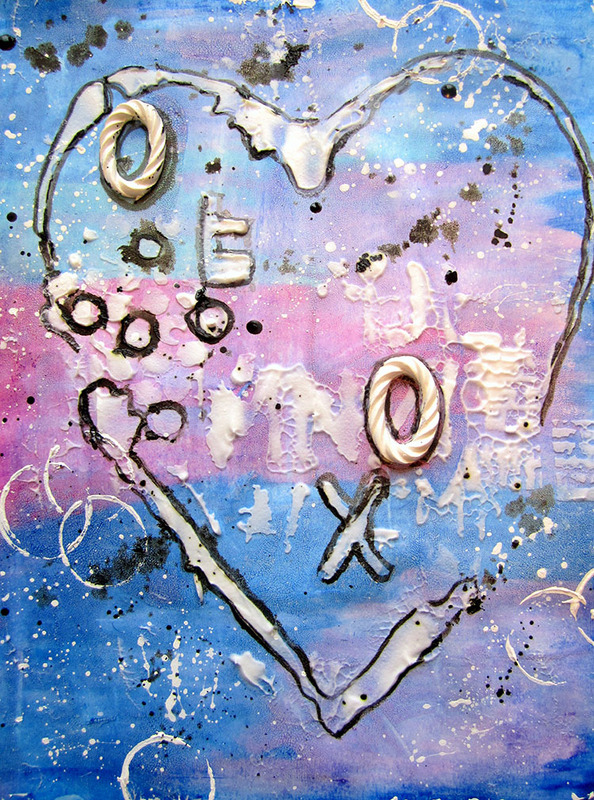 I used the new water-soluble oil pastels from Prima to create this bright background. Then I added white and black to enhance the texture of the page. 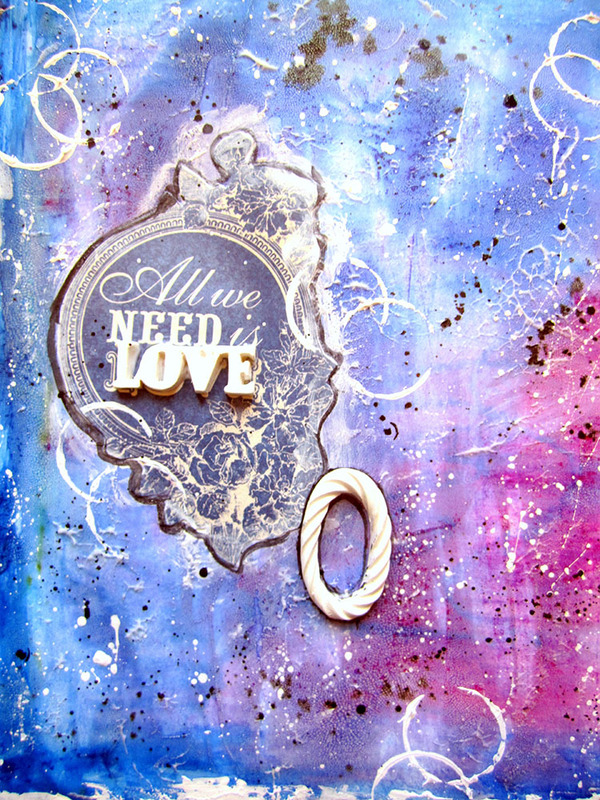 I fussy cut one of the papers from the Holiday Romance collection to use as the message in my journal page. 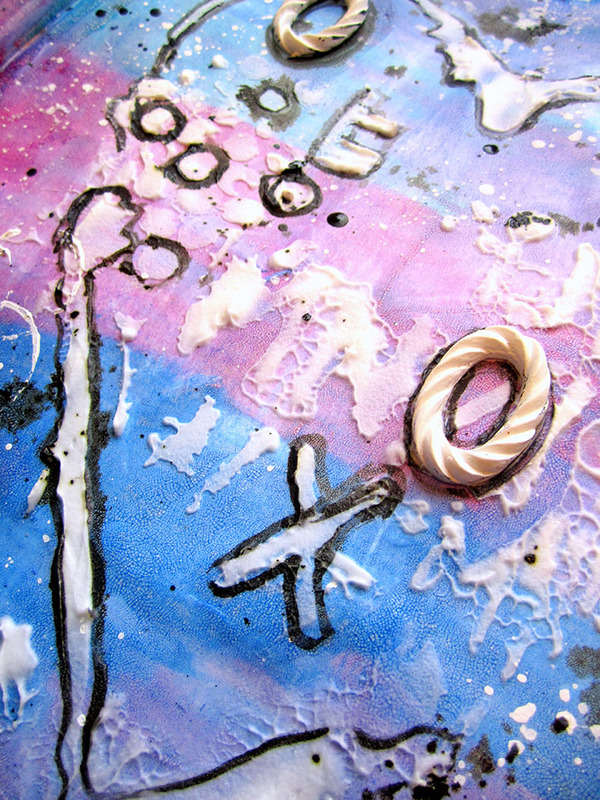 I also used the Polymer resins from the “For Wedding” collection so I could have some 3D elements on the page. 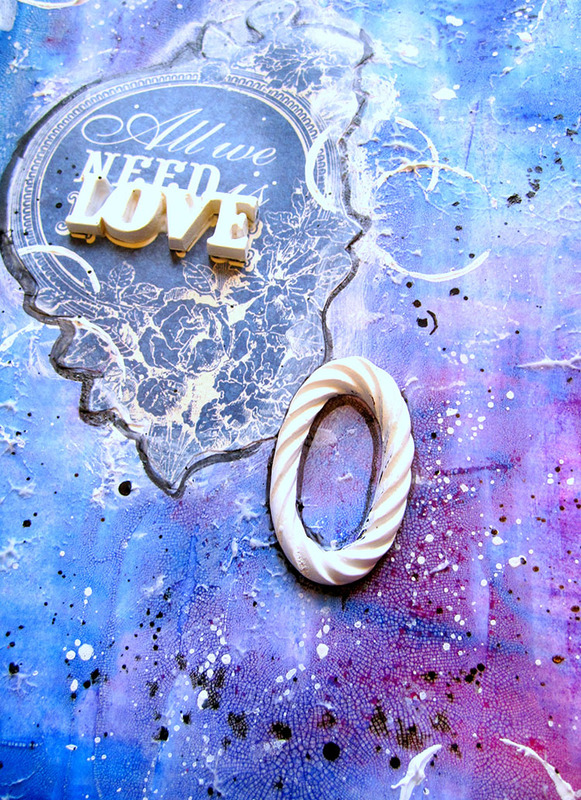 I used the Love word and some rings to fit in with the rest of the mixed media circles. A new Giveaway and its big!!! What a neat project… I love the colors you used. Keren this is such a great doubble journal spread. Pretty colors, lovely overall design and a very important message about LOVE. Keren I wish you and your family a Merry Christmas. Wow! Absolutely amazing. Love the details and colours.